The week starts on a bright note as the sun trines a retrograde Jupiter on Sunday. Be open to blessings as this movement passes over. The weekend ends on a high note when the moon waxes in Leo until 9:38 p.m. on Sunday evening. We’re ready for a break when the moon goes void-of-course until the next day at 6:13 a.m. in practical Virgo. Our words gain confidence on Tuesday when communicative Mercury moves into bold Aries. The moon leaves Virgo on Wednesday at 12:29 a.m., entering a second well-timed void-of-course period ending at 7:22 a.m. in Libra. We approach our full moon on Friday at 7:12 a.m., encouraging us to connect, share, and enjoy each other’s company. If you made a goal during the new moon of the 5th, reflect on how you grew your idea and gave it life. The moon wanes in strategic Scorpio at 8:40 a.m., helping us to plan out our next steps. 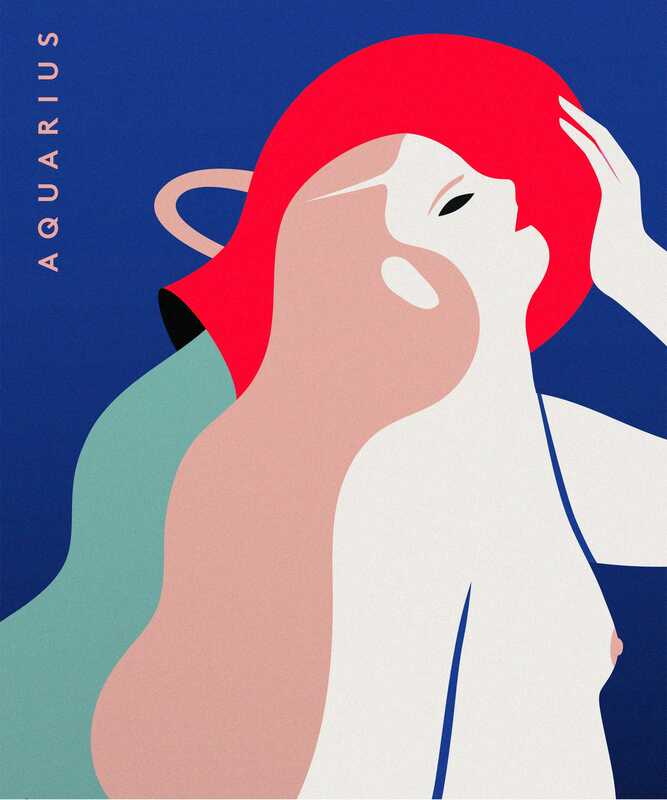 Sweet Venus joins Mercury in Aries on Saturday, giving us an edge in our approach to love and aesthetics. Use this newfound confidence to try out a new trend, and put yourself out there. The sun enters Taurus on Saturday changing our focus from creating new beginnings to living in the here and now. Look how far you’ve come, Aries. Soak up every moment while the sun illuminates your sign this week. You could come across an excellent travel opportunity on Sunday when the sun trines Jupiter, your personal travel planet. The sun lends you ingenuity, so don’t hold back. Communication planet Mercury enters your sign on Tuesday, giving your words an assurance to those who hear them. Your home and family ruler, the moon waxes full in Libra on Wednesday morning, helping you to bounce ideas off of friends. Get their opinion on your space if you’re looking to fix it up. Follow your heart on Friday, when your love ruler Venus conjuncts with perceptive Neptune. If something feels off, ask the object of your affection what’s up. Venus enters your sign on Saturday, adding a little more sensuality into the mix. On the same day, the sun moves into your 2nd house, switching your focus to earthly pleasures. Hold onto the fire that the Sun brought you to give you the confidence to take on your finances, values, and possessions and live in the moment. 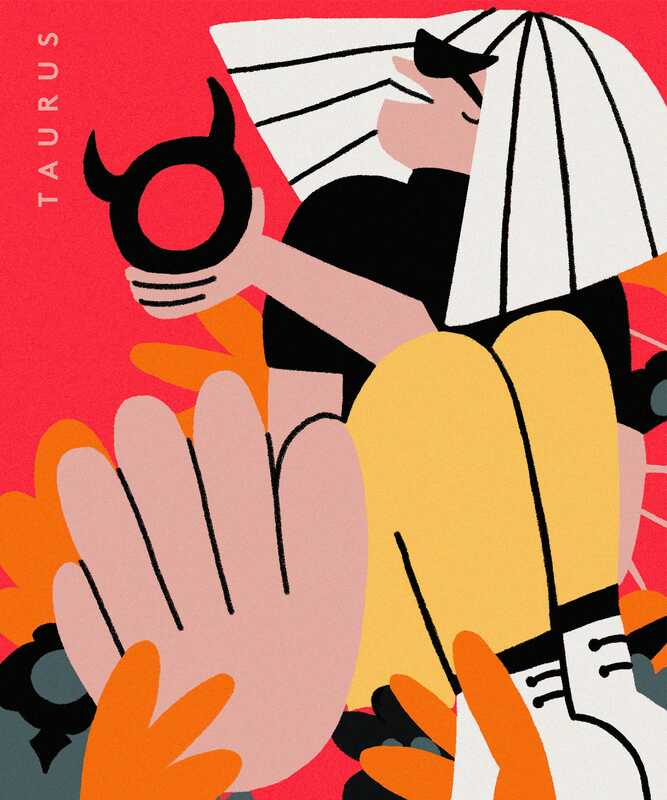 Need a little luck, Taurus? Stay alert on Sunday when the sun, your ruler of home and family life trines Jupiter, the planet of abundance. Mercury, your personal cash planet enters fiery Aries on Tuesday, giving you a more confident approach towards your finances. If you’re doing your taxes this week, you’ll be able to handle the transition with ease, or at least, find the right answers. You’ll have a new zest for life on Saturday when Taurus’ planetary ruler Venus moves into action-minded, Aries. The planet of love and beauty rules your health and work zones, helping you bring refinement to everything that you do. Looking to try out a new workout or digital assistant? Always remember to simplify. Celebrate your season as the sun enters your first house on Saturday, lighting you up just in time for the weekend. 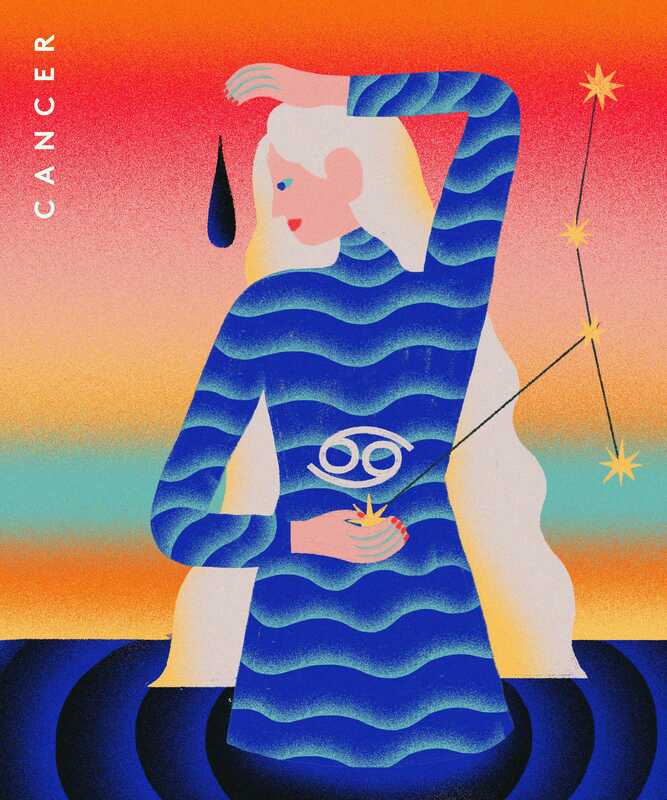 Creating a smoother daily routine on Sunday will set you up for success this week, Cancer. Look over your old schedule and improve on flaws while the sun, your financial planet trines Jupiter, your planetary ruler health and work. On Friday, your momentum gains as the moon waxes full in Libra at 7:12 a.m, lending you a psychic glow that connects to your social circle. You’re feeling more energized to nest on Saturday when Venus, your planetary ruler of home and family moves into Aries. Make your bedroom a haven for love and relaxation. The sun lights up your 11th house on Saturday, influencing your goals, connecting you to friends and new groups. If you’ve got a big project you’ve been trying to get off the ground, seek the help of your besties. Seek out a mentor to help you if your friends don’t fit the bill. Whatever you choose, execute it with enthusiasm and grace. Everyone is on your wavelength, Leo. The moon waxes in your sign on Sunday until 9:38 p.m., increasing the need to be recognised and adored. Gently guard your words as your inner emotions are more susceptible to revealing themselves while the Moon inhabits your sign. The sun trines Jupiter on the same day, offering you some good fortune. Bring that positive energy with you through the week. Avoid biting off more than you can chew on Tuesday when Mercury, Leo’s personal financial ruler moves into Aries. You might feel a bit of angst, but that’s just the Ram’s energy driving you on. Look within to find out exactly what you need, and push for that. Your ruling planet, the sun helps you to enter your next chapter, so get ready for significant professional changes over the next four weeks as this house rules your public image, career, and structure. You’ve been preparing for this moment, and it’s time to achieve your dreams. 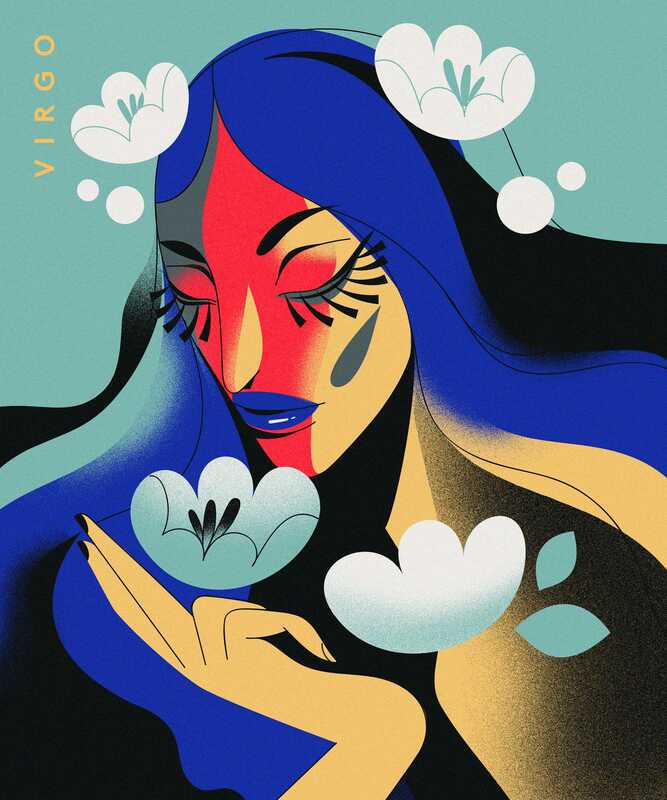 You’ve been undergoing significant changes in your 8th house , Virgo. Find comfort in your foundations on Sunday when the sun trines Jupiter, your personal planet of home and family. The moon waxes in your sign on Monday at 6:13 a.m., increasing your attention to detail and enhancing your natural talents until Wednesday morning at 12:29 a.m. Once you’ve recharged your emotional batteries, you’ll be ready to spring back into action on Tuesday, when your career planet Mercury moves into excitable Aries. It wasn’t long ago that Mercury’s retrograde prevented us from communicating properly and reaching our goals. Now that the messenger planet is direct, Virgos are ready to move forward with all work-related emails, conference calls and texts with ease. It’s hard to contain your enthusiasm on Saturday when your financial ruler Venus enters Aries. You’ve got a new fire burning inside you, how will you expend that energy? The sun ignites your 9th house on Saturday, encouraging you to explore, expand your mind and seek out adventure. Consider this an opportunity to travel, go back to school, or delve into a new and exciting subject. 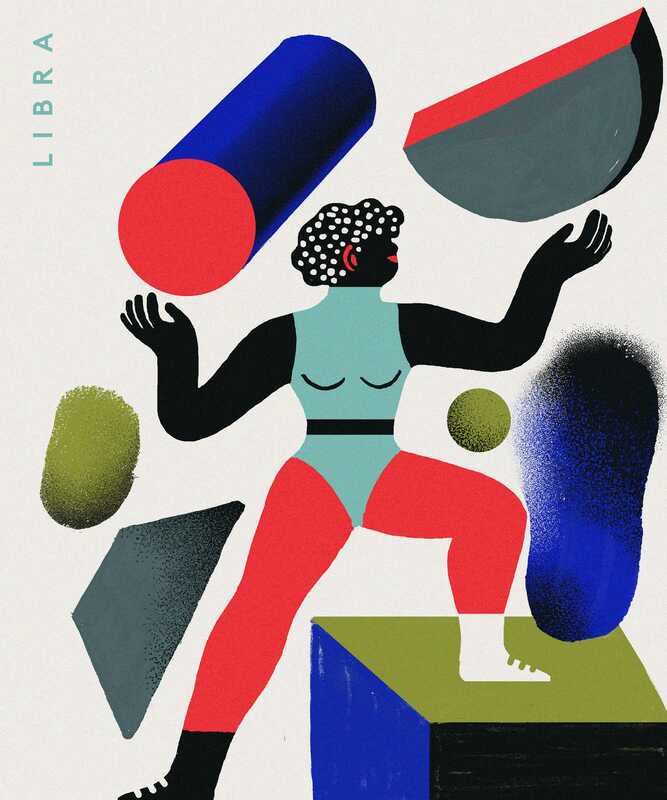 Taking the utmost care of your partnerships and relationships is work, Libra. Your ability to comfort and connect is especially blessed on Sunday when the sun (currently lighting up your 7th house of relationships) trines Jupiter, your planetary ruler of communications. Friday morning’s full moon in Libra opens an excellent opportunity for you to expand your network. Follow the pull of the full moon’s energy and bravely enter a new group of like-minded individuals. If that idea makes you cringe, bring a friend and make sure to reach out to some new faces. It’s important to remember that everyone is usually nervous and wants to build a new connection. 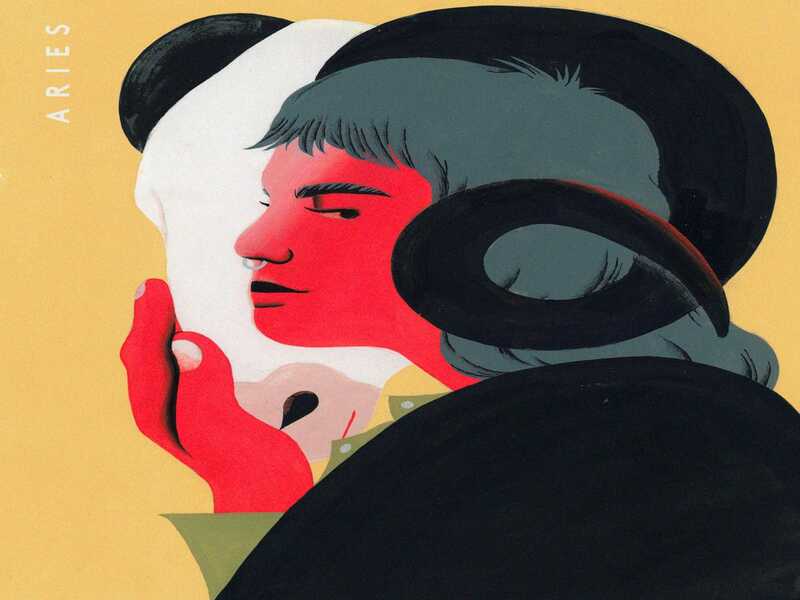 Mercury, your planetary ruler of good luck and spirituality, enters bold Aries on Saturday giving you the desire to reconnect with your inner self. Charming Venus follows him on the same day, lighting you up from within. The sun enters your 8th house on Saturday, encouraging you to embrace the act of transformation over the next month. Let go of anything that no longer serves you. Pay attention to your intuition on Sunday, Scorpio. A lucky break could come your way when the sun, your planetary ruler of career trines Jupiter, your sign’s personal financial planet. You may notice your emotions are harder to hide on Friday as the moon wanes in your sign from Friday at 8:40 a.m. for the rest of Saturday. Allow yourself to be vulnerable and admit that it’s ok to ask for help. Venus, Scorpio’s personal love ruler, speeds into Aries on Saturday enhancing their self-assurance. If you’re single, enjoy Venus in Aries by making the first move. 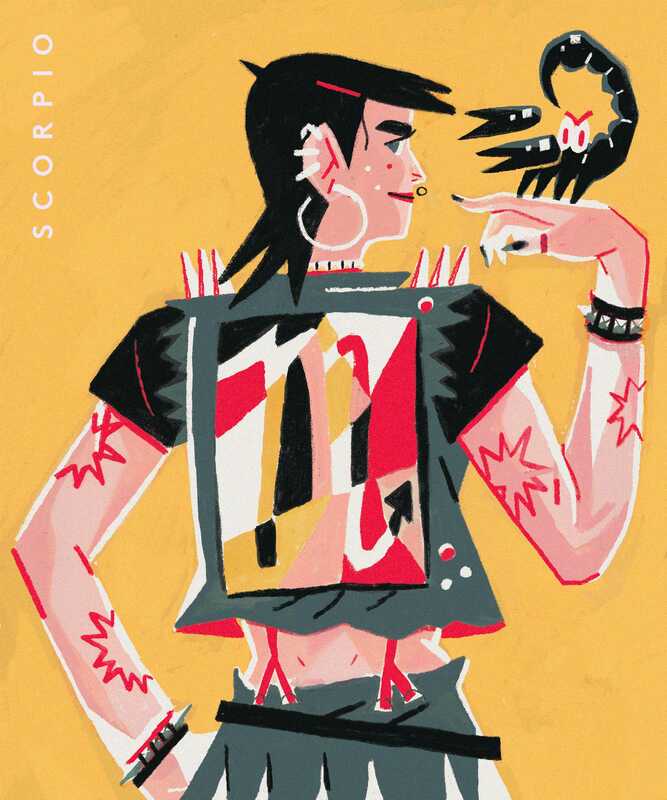 Partnered Scorpios will be rejuvenated and ready to take the lead in their relationships. The career-minded sun shifts his gaze to your 7th house on Saturday, helping you to solidify your longer-term partnerships, contracts, and romantic relationships. Research your working style so that you can relate to your team members with a clearer understanding of your co-worker’s needs. 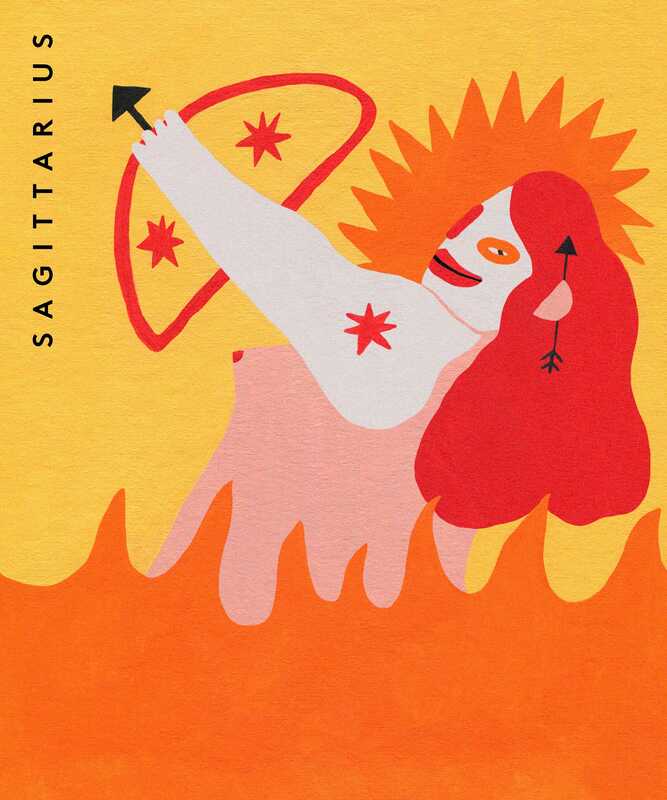 You’re walking on sunshine this week, Sagittarius. Your ruling planet Jupiter trines the sun on Sunday, infusing good fortune into your path. Being open to blessings helps you to receive them. The sun lights up your 5th house of creativity, pleasure, and romance this week bringing joy to everything that you do. Mercury, your planetary ruler of love and career, gets an energetic boost as he enters fiery Aries on Tuesday. Embrace your newfound fire this week in your romantic relationships — don’t be afraid to ask for what you want. Venus, your personal health and work ruler, enters the fellow fire sign on Saturday, encouraging you to create a more active lifestyle. Find something that works for you, be it yoga or running. The sun illuminates your 6th house on Saturday, encouraging you to build healthy habits for the year. Consider your priorities and how your physical wellbeing could be improved upon in tiny steps. Clarity comes easier on Sunday when Jupiter, your personal planet of self-discovery and spirituality trines the sun. Your current focus is held by the harmony that you’ve created for yourself at home, while our star brightens your 4th house. You’ll be ready to get out into the world on Tuesday when Mercury, your personal planet of health and work enters active Aries. 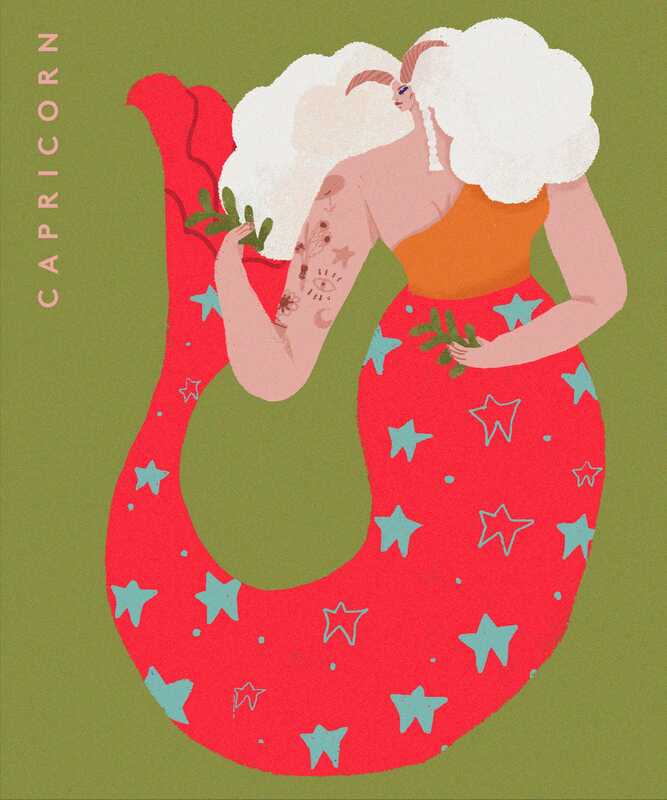 Single Capricorns, have you considered getting set up? Your personal love ruler, the moon waxes full in Libra at 7:12 a.m., allowing your friends to play matchmaker. If you’re attached, spend the day building your friendship with your partner. 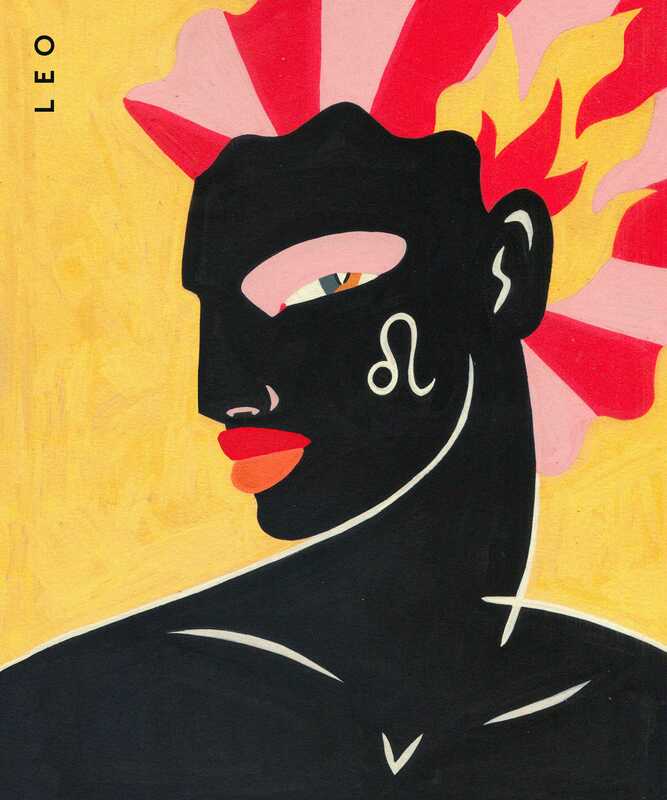 Venus, your sign’s personal career ruler, is ready to start her engines on Saturday when she enters action-minded Aries. Use her charm to finesse the fire sign’s enthusiasm and ambition. It’s time to celebrate your successes on Saturday: the sun enters your 5th house of creativity, pleasure, and romance. Make time for yourself to tap into your creative side. A romantic interest could take you by surprise on Sunday, when your love ruler, the sun trines Jupiter. The sun lends you the confidence and wit to pull off a good back and forth, but are they what you’re looking for? The moon waxes full on Friday morning in friendly Libra, creating deeper connections to your colleagues. Blow off a little harmless steam and enjoy the camaraderie — it’s rarer than you think. 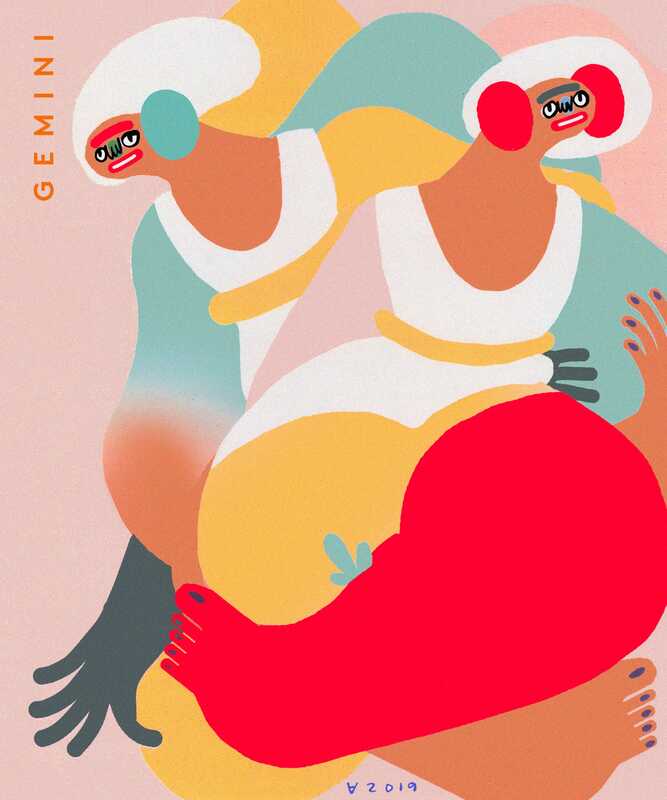 Venus, your personal planetary ruler of home and family whizzes through Aries on Saturday, lending you the inspiration you need to get going on a home improvement project that’s been gathering dust. The sun leaves your 3rd house of communication on Saturday and switches his gaze to your domestic 4th house of family, and instincts. For the next astrological month, your priorities will turn towards your foundations. 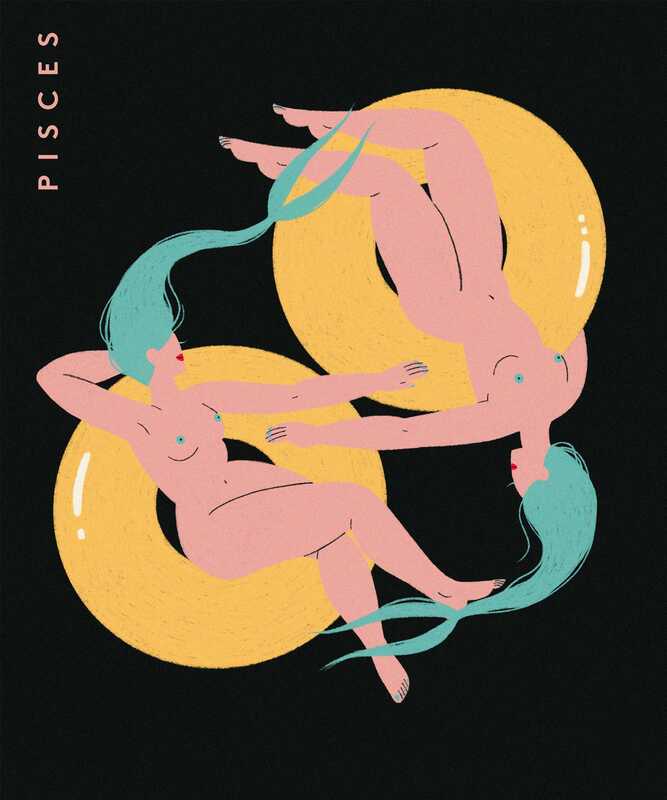 Have you been waiting for something to click into place at work, Pisces? Your lucky day arrives on Sunday when the sun trines Jupiter. Our star rules your health and work zones while Jupiter rules your career. You’ll have the opportunity to change your daily habits to enhance your well-being at work. Listen to your intuition and what you truly need from work. Get ready to turn up your speed on Tuesday. Friday’s early morning full moon in Libra helps you to find inspiration in your social circle. If you need help for a creative project, source your team from your crew. Mercury, your personal planetary ruler of love, home, and family enters Aries on Saturday. If you’ve ever needed a little courage to get you out of your comfort zone, trust that the messenger planet’s tour through Aries will light a fire under you. The sun enters your 3rd house on Saturday, helping you to buff up on your communication skills and connect with your community.